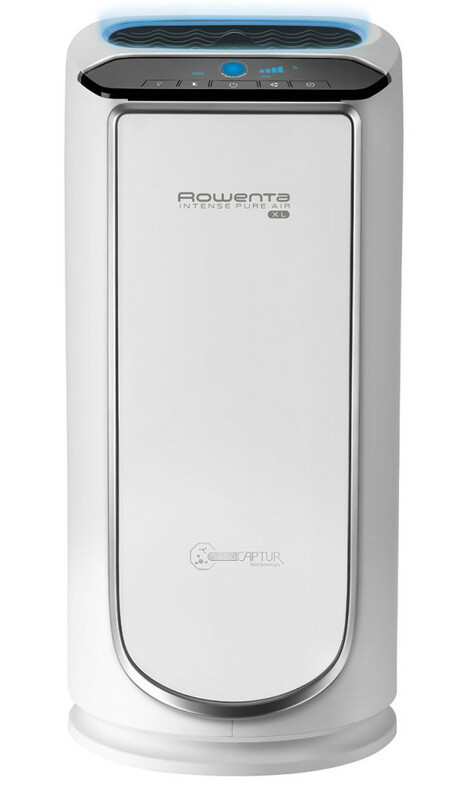 The Rowenta PU6020 is an intense air purifier that comes equipped with a unique industry-leading Nano Capture filter. It will keep your home smoke, pollutant, and germ free while consuming only a minimal amount of energy and generating a barely-there level of noise. According to the EPA, the air in most homes is even more polluted than the air outside. And because of how much time we spend inside thanks to technology, a variety of immediate and long-term health problems can occur, including allergies, asthma, and even cancer. 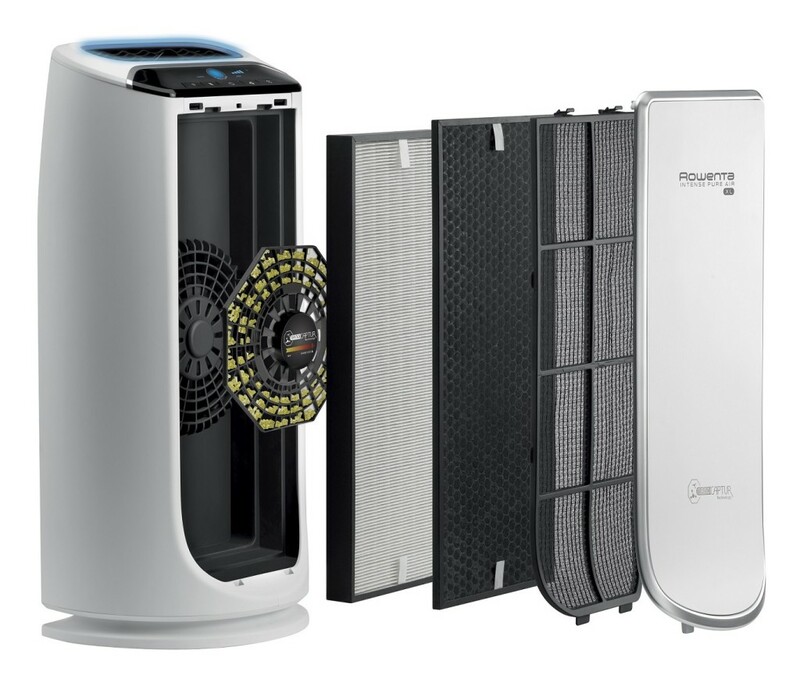 Choosing the right air purifier is the key to keeping the air in your home safe for you and your family to breathe, and the Rowenta PU6020 is a great options for those seeking a compact, affordable air filter and smoke eater. 1) The Rowenta PU6020 filters up to 97.97% of air pollution in your home. 2) It permanently destroys formaldehyde, which according to the World Health Organization, is the most dangerously harmful pollutant in our homes. 3) It is suitable for large rooms, offices, and smaller apartments. 4) The smart pollution sensor of the Rowenta PU6020 detects smoke, particles, and chemicals pollutants like acetone, formaldehyde, and benzene in the air. 5) The sensor automatically adjusts the filtration speed to ensure optimal air quality. 6) The unit effectively covers up to 835 square feet. 7) It comes with a “change filter” indicator so that you can be alerted when a filter change is needed. 8) It is eco-friendly and produces no environmentally damaging gases. 9) It comes in a discreet white color that is easily hidden in an out-of-the-way space. 10) The Rowenta PU6020’s Night Mode maintains air quality while ensuring a quiet environment to promote a good night’s sleep. 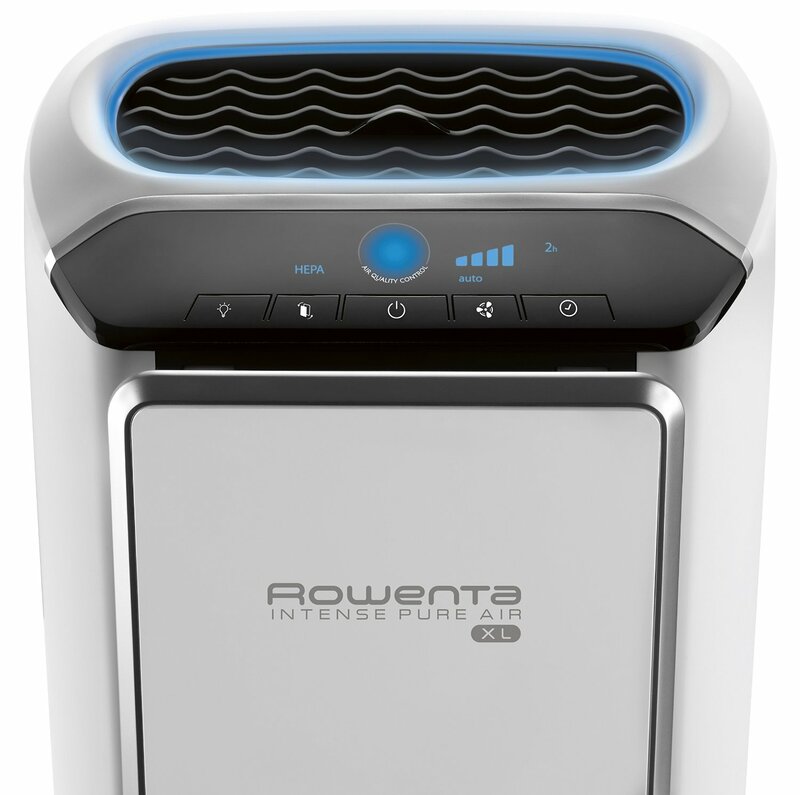 11) The low energy consumption of Rowenta PU6020 makes it a contender for the title of best air purifier for smoke in terms of overall costs throughout the life of the unit. 12) The dimensions of Rowenta PU6020 are: 15” x 12.5” x 28”. 13) It has a durable plastic housing. 14) The PU6020 Purifier is equipped with distraction-free ambient mood lighting. The Rowenta PU6020 has a four-stage filtration system that works to ensure highly cleaned air. This air purifier is equipped with a washable pre-filter for large particles, a carbon filter for reducing smoke, odor, and gases, a HEPA filter for microscopic particles, and a patented NanoCapture filter for destroying formaldehyde. 1) The pre-filter obstructs the largest pollutants like hair, dust, and animal fur. 2) An active Carbon Filter catches odors, smoke, and chemical pollutants. It also extracts harmful toxins like paint fumes. 3) The HEPA Filter captures finer particles such as pollen, animal allergens, bacteria, and mold. 4) Rowenta’s patented Nano Capture filter destroys formaldehyde emitted by tobacco smoke, cleaning products, pressed wood materials, paints, building materials, isolation materials, and scented candles. 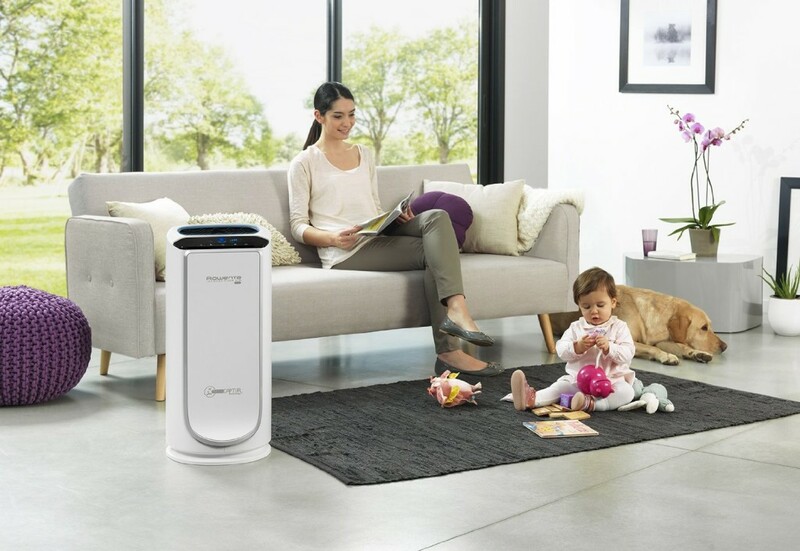 The Rowenta PU6020 air purifier filters up to 99.97% of pollutants and is the only mid-range air purifier that is certified to destroy formaldehyde – a dangerous gas present in most homes, especially those of smokers. At the end of the day, if you’re looking for an affordable air purifier that can eliminate smoke at a reasonable price, the Rowenta PU6020 is definitely worth taking a closer look at.